"A Sound Mind in a Sound Body" -Decimus Junius Juvenal, 130 A.D. 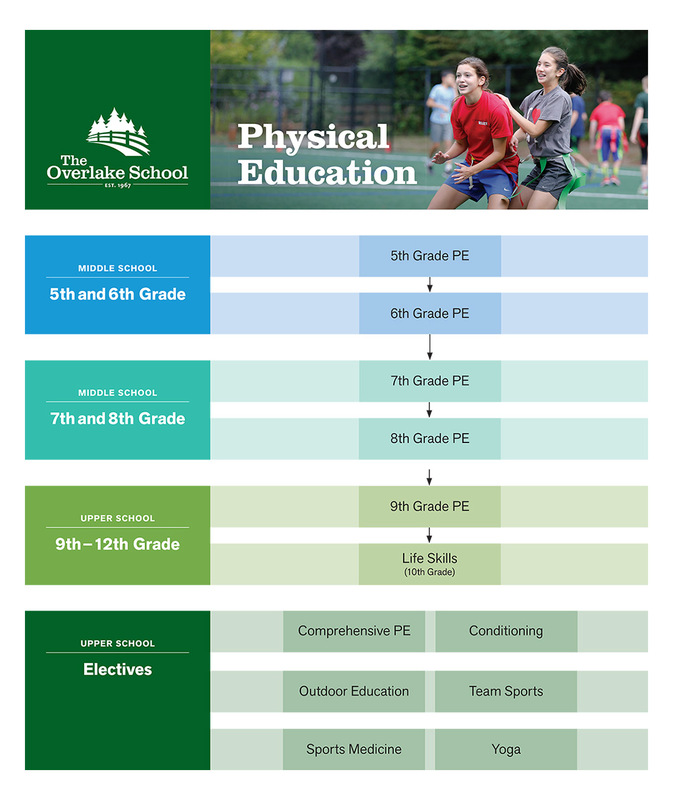 Physical education at Overlake is a very positive experience. Students are expected to dress for action and participate to the best of their ability every day. Classes are designed to serve all students regardless of age, gender, athletic ability, or physical capacity with high expectations for all students to reach their personal potential. The department is committed to delivering a planned and purposeful high activity-based, success-oriented program to our students. Sequential skill building, game strategies, aerobic fitness, wellness, strength building, team building, cooperative challenges, and sportsmanship are the basis for a program that encourages healthy choices now and in the future. All activities are conducted in a safe and nurturing environment, in keeping with the mission of the school. Students work daily on personal fitness, skill development, teamwork and sportsmanship. Overlake is committed to educating the whole child and health is a state of complete physical, mental, and social well-being, and not merely the absence of disease or infirmity. 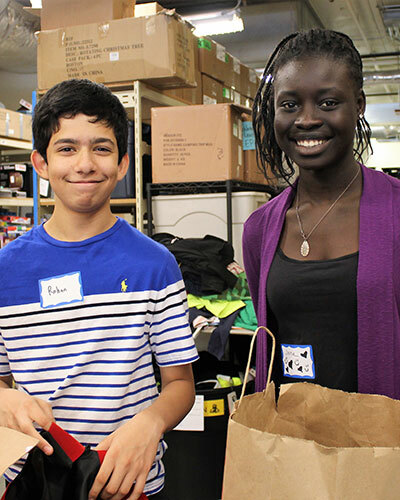 Part of this education involves information presented and discussed in eighth grade and tenth grade Life Skills that includes social-emotional intelligence, basic competencies for interdependence, cultural competency, sexual and relationship wellness and mental health. The Physical Education requirements are two credits (four semesters); required courses are Lifeskills in the 10th grade and either Comprehensive Physical Education OR Conditioning during a student’s four years of Upper School. The remaining 2 semesters may be selected from electives. The curriculum in grade five is intentionally designed to include a wide variety of fitness related activities and sports. The goal of each activity is to provide maximal participation to enhance both fitness and the basic movement skills of throwing, catching, striking, kicking, balance, agility and eye-hand coordination. Games are modified to ensure success and keep the skills and expectations age appropriate. Individual progress is measured using rubrics, self-evaluation, peer evaluation, teacher evaluation, fitness tests, and the medals program. The Fitnessgram test is administered twice each the year and is used to measure the effectiveness of their work in accomplishing a healthy level of fitness. Special activities for the fifth grade include lawn games, badminton, circus arts, bowling, bouldering, cricket, pillow polo, rope skipping, tumbling, volleyball, lacrosse, table tennis and whiffleball. Swimming is offered as available on a year-by-year basis. Through the use of small and large group games and cooperative activities sixth grade students develop more skills specific to games and sports. Fitness remains a top priority of each day's activities and low-level competition is introduced with a strong emphasis placed on sportsmanship. Sixth grade students are evaluated on a pass/fail basis. Each students progress is monitored and demonstrated using rubrics, self-evaluations, peer evaluations, video review and fitness activities. Special units for the sixth grade are archery, floor hockey, pickle ball, rock climbing, fistball and tennis. Each class completes 2 fitness evaluations throughout the year. The Fitnessgram evaluation is used to measure the effectiveness of their work in accomplishing a healthy level of fitness. A more technical approach is used toward game skills. Game strategies are introduced and alternative warm-ups and games are a part of each day. These non-traditional activities keep the program active and fun while insuring fitness and skill development. Grade seven students are assigned grades that reflect their class participation, effort, contributions, sportsmanship, and attitude. Skills are evaluated on the students’ effort to execute them as they are taught and goal setting, rubrics, self-evaluation, peer evaluation, video review and fitness activities are used to demonstrate individual progress. Units that are re-visited in the 7th grade are archery, soccer, basketball, volleyball, football and hockey and more advanced skills and tactics are taught and practiced. Special units include a multi-cultural games unit that is taught by the students, more leadership challenges to develop group skills and communication skills. There is an introduction to the fitness center, where students learn more about muscular endurance training. In addition, each class section works collaboratively and cooperatively to choose four additional units that they would like to explore during their seventh grade year. Each class completes The Fitnessgram evaluation twice per year and the results are used to measure the effectiveness of their work in accomplishing a healthy level of fitness. 8th grade students spend one quarter in each of the following classes: health, conditioning, recreational sports, and team sports. Each class focuses on topics and skills that are fundamental to the overall health and well-being of each student. All of the above topics are taught and discussed keeping in mind the all-encompassing themes of choice, responsibility, and consequences. Students are introduced to training principles in the fitness center and spend the quarter learning many different fitness training techniques. Students use EKHO Heart Rate Monitors to individualize their workouts, practice exercises specific to their activity goals, and complete the Fitnessgram evaluation to measure the effectiveness of their work in accomplishing a healthy level of fitness. The overall goals are to help students exercise “smarter” to help them reach their personal fitness and performance goals and to complete a dynamic workout each day of class. In team sports each student will have the opportunity be involved in 2-3 different specific team sports. Each sport is broken down into a season. The season is set up with a coach that helps divide the class into a designated number of teams, focusing on each student’s level of exposure to the activity, current skill level and their overall participation in class activities. Each coach leads their team in daily practice and by helping their team work together to accomplish a goal common goal for the season. Every additional member of the team will be given a specific role to carry out throughout the season. Each sport is chosen by the class. The teaching and practicing of social responsibility/team work is the main theme in this class. Everything is done with a team as a team. The recreational sports class focuses on recreational and lifetime activities. The emphasis is on participation and not competition. 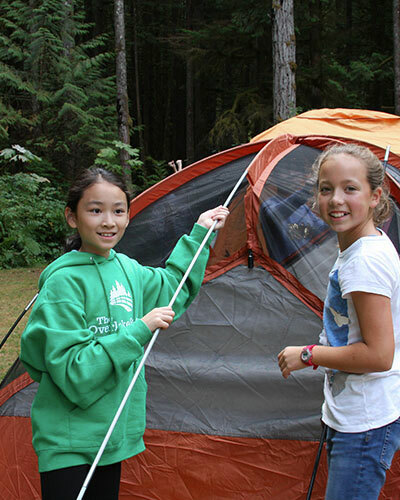 Students learn skills, rules and strategies while participating in individual and group activities. Activities may include; badminton, volleyball, archery, tennis, pickle ball, bocce ball, rock climbing, table tennis, spike ball, fistball, ultimate, Gola, and gym games. Games are designed to teach sportsmanship, cooperation, leadership, a respect for diversity of abilities, problem solving, and proper game etiquette. Rules are often modified to ensure success and games are played in small groups to maximize participation. Open to 10th-12th* grades. Freshmen may sign up with permissions from the department chair. Students register for the class at the beginning of each sport season. The complete list of deadlines in linked the description below. Beginning in the school year '18-'19 seniors will not be allowed to take Athletics for PE Credit in the spring season of their senior year. This still allows 11 seasons to complete the course and avoids conflicts with senior projects and spring playoff commitments. This course allows athletes to practice and develop the skills necessary for peak personal performance. An athlete must complete two Overlake sport seasons over a one or two-year period to earn .5 (one semester) of PE credit. These sports must be under the direction of the athletic department and this elective option may be used once during a student’s high school career. As a guided Canvas course, it is the responsibility of the student-athlete to complete all required work and meet all stated deadlines in order to be eligible to receive credit. Within the first week of a sport season, student athletes must obtain the instructions and requirements for completing this course from the registrar (that is, the information and registration packet). Athletes set goals with their coaches, collect signatures from coaches and parents, and return the registration form by the second Thursday of the new sport season. Once registered, students will be enrolled in the Canvas course and guided prompts will help each athlete evaluate the effectiveness of their work to better understand their role on the team and to assist them in making decisions about their contributions. Athletes set and re-evaluate personal goals with their coaches, answer reflective questions regarding their participation and personal contributions to the team, and reflect on the benefits derived from the experience. Athletes must meet the athletic department requirements regarding attendance at all practices and games unless excused by their coaches. The information/registration packet, as well as the Canvas course, contains all forms, guidelines for self-evaluation and journaling, registration deadlines and journal prompt due dates. To complete the course work, the athlete’s goals and coach’s evaluation are turned in via Canvas by the deadlines which are set to allow for post-season tournament play. Athletes are encouraged to complete their work and turn it in on Canvas at the completion of their season which may be earlier than the deadlines. View the complete list of deadlines. Either Comprehensive PE or Conditioning may be taken to fulfill the basic Upper School PE requirement. May also be taken as an elective. Comprehensive physical education provides the opportunity for students to participate in traditional and non-traditional sports, individual activities, racquet sports, recreational sports and lifetime activities. These games involve some competition but this is not the focus. The emphasis is on learning skills, rules and strategies for each activity. Playing with teamwork, demonstrating sportsmanship, and learning to use the equipment safely are also key concepts in this course. To promote and encourage student input, class members will work together to choose the sports or activities they would like to explore during the semester. This class is designed for anyone interested in general fitness, toning, strength building, and aerobic conditioning. Students will participate in different training units such as circuit training, weight training, and core training. These training units help students learn and practice safe, effective, and efficient fitness training techniques. The course will explore popular training regimes such as Yoga and plyometrics. Students will also have opportunities to participate in aerobic games. Students complete fitness evaluations at the beginning and end of the semester to identify areas of strength, success, or needed improvement. After the first fitness evaluation, students who wish to focus on a specific area such as strength, speed, power, endurance, agility, and/or flexibility needed to improve performance in a specific sport or activity will be guided to design and follow a self-directed program. As a college-preparatory school, core academic skill areas are a major focus to inspire excellence and to develop intellectual curiosity. 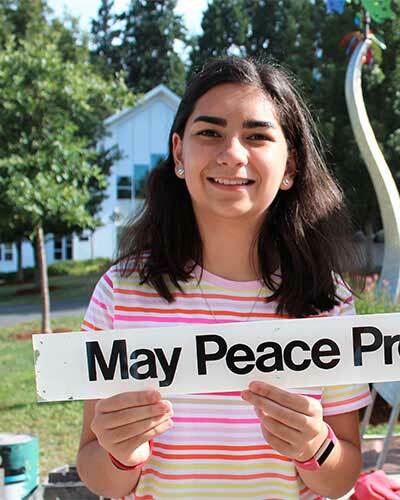 To further Overlake’s mission to teach responsibility, embrace diversity and foster a compassion community, core lessons in the Lifeskills curriculum focus on understanding and competency in skills beyond academic subject areas necessary in developing the “whole student” and leading to interpersonal, physical, and professional success. Issues related to personal responsibility, safety, effective communication and decision-making are explored in an activity-oriented classroom, where discussion, hands-on practice, and guest speakers provide students with meaningful opportunities for gaining knowledge and developing competency in areas vital for responsible participation in adult life. Units include Social-Emotional Wellness, Cultural Competency, Mental Health and Wellness, Physical & Sexual Safety and Wellness, and Basic Competencies. Semester elective. May be repeated for credit after the minimum requirements are met. All students choosing to repeat an elective will be expected to take on additional responsibilities and a leadership role within the class. Basic game skills and game strategies will be taught in this course with an additional emphasis on learning game rules. Team sports may include basketball, soccer, flag football, volleyball, gola, team handball, lacrosse, softball, floor hockey, field hockey, cricket, ultimate frisbee, netball, fistball, korfball, rugby and fitness drills specific to the sport. To promote and encourage student input, class members will work together to choose the sports or activities they would like to explore during the semester. This class is designed for individuals interested in fulfilling Physical Education or elective credit through yoga study. One semester of yoga study will blend styles of Hatha (Gentle), Vinyasa (Flow), Ashtanga (Power), Iyengar (Alignment) and Kundalini (Breath) yoga. Benefits of this collection of studies will include focus on alignment through postures or use of props, weight bearing exercise, and increasing flexibility through breath connection to movement. Yoga establishes a framework for lifelong fitness, developing core strength, safe stretching practices, health and well-being rooted in kinesiology and philosophy. Students will increase awareness of skeletal and muscular systems while deepening strength, balance, flexibility, and focus through various sequences of yoga asanas or postures. Students will learn how yoga may enhance, repair, relax, or rebalance the muscles and the mind given all the demands of modern life. Additionally, students will complete reflective written assignments each quarter establishing goals, intentions for practice, reflecting upon progress and concepts for emphasis in future practice. One semester elective earning .5 credits. Open to 11th and 12th grades, and to students in 10th grade by permission of the teacher. Introduction to Sports Medicine is a class for students who would like to learn about the human body and how it relates to human function, injury and the prevention and treatment of injury as well as dealing with emergency situations and First Aid/CPR. Students will use a combination of group projects, laboratory activities, and classroom tasks to learn and use the training skills and leadership skills required of an athletic trainer. Students will attend class 5 of the 6 class meeting times during each 8 day rotation during the semester and will have free block on the other days. Students will be expected to complete a minimum of 3 events (athletic contests/games) of practical training outside of the classroom as part of the class requirements. Events can also be accumulated by helping after school in the athletic training room. During this time students will be expected to act in a professional manner, assist as needed and work to master the skills they have been introduced to in the class room. Students may select the events or times they wish to cover, but there will be a limited number of spots depending on the event. Students may not cover events in which they are involved (e.g. basketball player covering own basketball game).